Over the course of the next two days Nor-Shipping is joining a host of business leaders, NGOs, diplomats and politicians at the UN headquarters in New York to help plot a pathway for sustainable commercial activity in the ocean space. 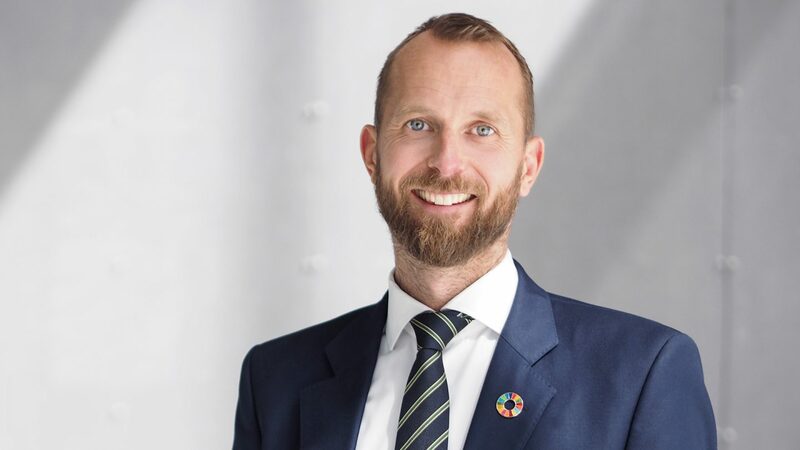 Nor-Shipping Director Per Martin Tanggaard will assist a group working on the development of the UN Global Compact’s Sustainable Ocean Business Action Platform, before hosting the next high-level meeting on the initiative in Norway at Nor-Shipping 2019. Part of the UN Global Compact Leaders Summit 2018, the gathering will see top level executives – from companies such as Equinor, Total, Maersk and ABN Amro – collaborating with senior politicians, including Erna Solberg, the Norwegian Prime Minister, and Tommy Remengesau, the President of Palau, members of the Swedish and Norwegian Royal Families, and diplomats from the UN, to create the foundations for a uniform, responsible and sustainable action plan. Solberg and the Norwegian Government are at the vanguard of the initiative. The Prime Minister launched an international high-level panel focused on ‘Building a Sustainable Ocean Economy’ earlier this year, while Norway is the first government sponsor of the UN action platform. “This meeting is crucial to the future well-being of our ocean space,” comments Tanggaard. “We need to build accord for an approach that carefully balances a means of releasing the commercial potential of the ocean with a mission to safeguard, nurture and repair its fragile ecosystems. The main activity for the Sustainable Ocean Business Action Platform revolves around a two-hour roundtable session at the UN headquarters on Monday, followed by an all-day ‘retreat’ at The Loeb Boathouse, Central Park, on Tuesday. Alongside participants from the private and public spheres, charities such as WWF will be represented, in addition to leaders from the World Bank, the International Seabed Authority, the International Chamber of Shipping, and the CEO of the UN Global Compact itself, Ms Lise Kingo. Nor-Shipping’s participation chimes with its repositioning as ‘Your Arena for Ocean Solutions’, whereby it works to showcase, promote and enable sustainable business opportunities for its key maritime base and the wider ocean industries. “Together with the UN Global Compact, we’re inviting this week’s participants, and other industry leaders, to reconvene at Nor-Shipping next year and discuss both our progress so far and how to deliver on new goals and strategies. Nor-Shipping 2019, which is expected to attract over 30,000 key decision makers, with around 1000 exhibiting companies, recently announced it was devoting an entire hall to the theme of Blue Economy. This will focus on showcasing and accelerating innovations and businesses that build commercial value in the ocean space, while safeguarding the environment and ensuring the sustainable use of resources. Nor-Shipping 2019 takes place in Oslo and Lillestrøm, Norway, from 04 to 07 June 2019.